If you're a bit of an enthusiastic cook, if you're kitchen often finds itself the victim of flour explosions or batter splatters, Avanti understands, having designed a collection of Anti-Slip Mixing Bowls. 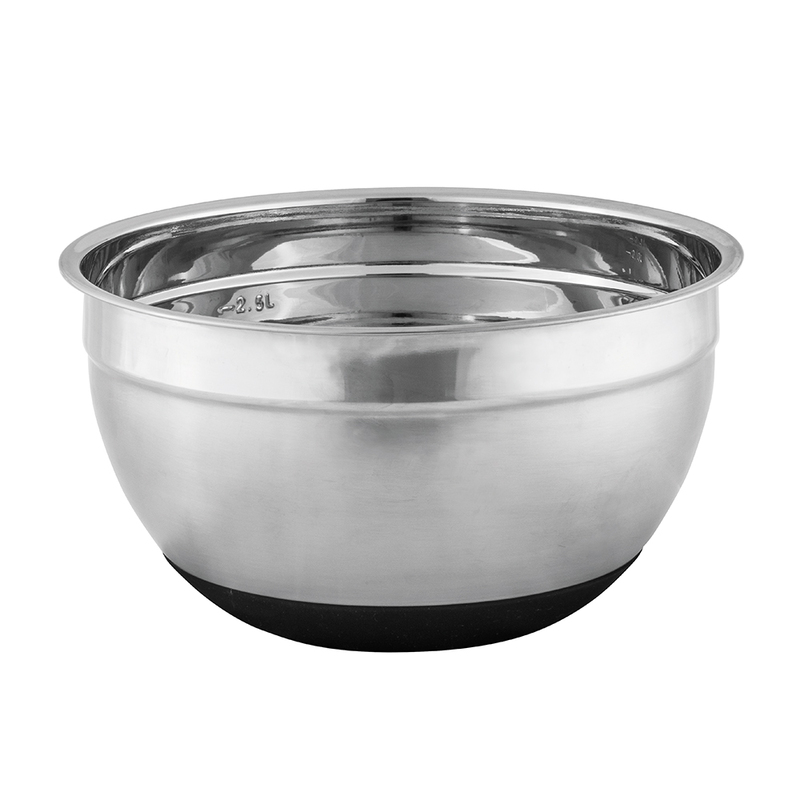 These durable stainless steel saviors feature anti-slip food grade silicone grips that simply wont budge, as well as internal volume measurements just in case you have over judged your quantities! This means less time spent cleaning and more time savoring the deliciousness of your cook. Thanks, Avanti. Anti-grip food safe silicon base.